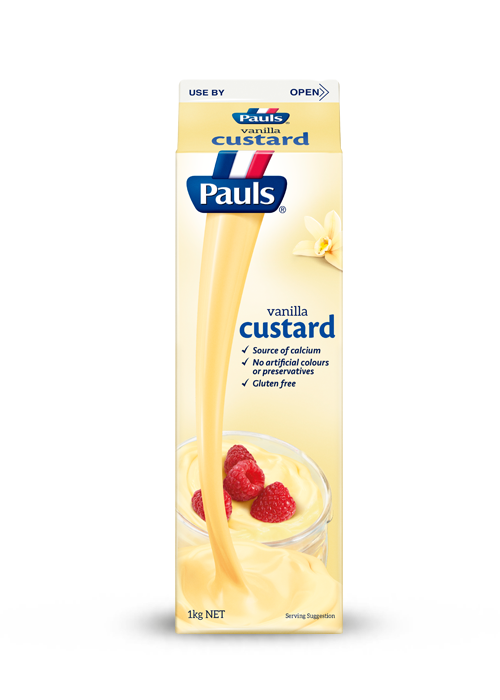 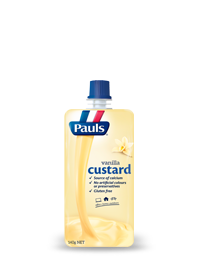 Pauls Vanilla Custard is a delicious snack packed with dairy goodness, so it's great for the whole family. 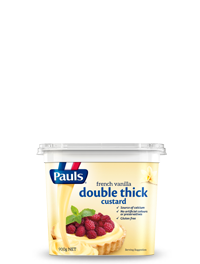 It's perfect on its own, but why not try it in one of our delicious recipes! 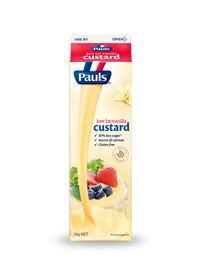 Milk, skim milk, sugar, milk solids, thickener (1442) (from maize), stabilisers (412, 415, 407, 410), mineral salt (452), flavour, colour (160a). 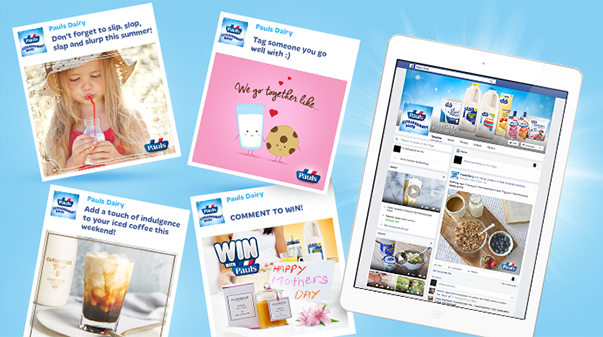 Like the Pauls Dairy Facebook Page to keep up to date with all things Extraordinary Dairy. 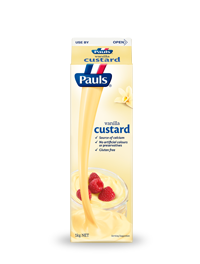 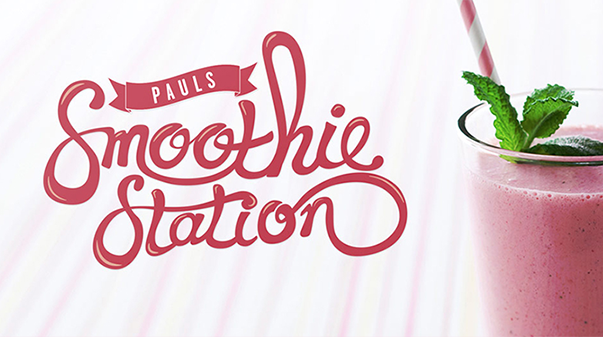 Explore the site to see the range of Pauls milks, custards, desserts, yoghurts, creams, sour creams and flavoured milks.